Resort Data Processing is offering a discount to all First Resort (FRS) customers who convert to the RDP software. Advantages of the RDP system when compared to First Resort are listed below. Also please see RDP Vacation Rental System Overview. The following topics are covered in this document. See RDP Vacation Rental Overview. Integration to GDS, POS, credit cards, door locks, phone mail, call accounting, etc. The topics above are covered in this document. For additional features related to condo and home owner accounting, please see RDP Owner Accounting Overview. President and Founder of Resort Data Processing, Inc. I founded RDP in 1981. For the last 24 years, we have sold over 1000 systems for vacation rentals, condominium management, and hotels. 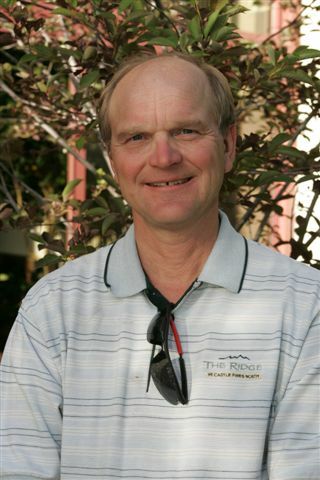 Bill Csete has been my partner for over 20 years and is currently in charge of product development. We still run the company day-to-day and continue to drive RDP's success, which includes 24 consecutive profitable years. While we have had many offers to sell RDP, we decided long ago to keep the company private and drive decisions based on the long run and future generations. The founders of First Resort have all left. FRS has been sold several times: first to Resort Quest, and then again to Gaylord Hospitality and now to another company. The brains behind FRS are gone, whereas the founders of RDP are still here to help, which is critical to the success of any small company. Please give me a call on my personal line, 970-845-1157 and I will be glad to discuss any area of the vacation rental business with you. I have always answered my own phone directly and frequently talk to our customers to make sure the RDP software is helping them make more money. See RDP Owner Accounting Overview. RDP's Internet Reservation Module (IRM) allows millions of potential guests, groups, travel agents, and owners to check availability and make commission-free reservations 24 hours a day, 365 days a year. The IRM is designed to work in conjunction with your existing marketing website. Reservations are stored immediately in the same database as normal "phone-in" reservations with just one database for true "last room" availability. Multiple pictures of each rental unit can be displayed, along with full descriptions and a "virtual tour" of each property. Send mass e-mails with "one click"
RDP software is designed to run on Windows 2012 servers or using "peer-to-peer" networks. Workstations run on Windows 7 or 10. Most FRS customers should be able to use all their existing hardware for the RDP software. Email Integration for Guests, Owners, Travel Agents, etc. E-Mail databases are created for guests, travel agents, groups, wholesalers, and condo/timeshare owners. Reservationists can click one button to send a confirmation to the guest, complete with maps and other attachments. Mass e-mails can be sent directly from the RDP System - with no third party software required. RDP abides by all current regulations for anti-SPAM by allowing guests to "opt out" of mass e-mails. Guest confirmations can be sent via e-mail, fax, or printed and sent by mail. RDP has integrated yield management with the reservation system. When combined with a careful study of the property's history and employee training, yield management can significantly increase occupancy and the average daily rate (ADR). Small increases in ADR can drastically increase property profit. Store individual estimated clean times in user-defined tables based on room type and clean type (daily clean, checkout clean, "midweek tidy", etc.). Assign different "clean patterns" for each guest. For example, in a condominium rental, one guest can have "checkout only" cleaning while another can purchase "full daily cleaning." Track status from dirty to "ready for inspection" to "clean and ready for guest"
Enter actual cleaning time and compare to forecasting time using the phone in the room. For example, the housekeeper can press *1 from the phone when they enter the room, which stores the start clean time in housekeeping history. When done, they press *2 to mark the room as "ready for inspection." The end clean is stamped on the room. The system reports the actual clean time per room, forecasted time, and variance to track housekeeper performance. Inspectors can use the phone in the room to mark the room as "ready for guest," which also stored the time the inspector finished. Reports are available showing how much time elapsed between the housekeeper marking the room as "ready for inspector" and the the time the inspector completed the inspection. When the guest calls the front desk to report the broken toilet, the front desk clerk enters the work order on their workstation using the Windows based "Add Work Order" screen (see example below). The front desk clerk can assign a priority to the work order; in this case, "high." This new work order immediately appears on the Monitor Work Orders screen as a "high-priority" work order request to "Fix the toilet in Room 101." The Maintenance Department can now assign this work order to a third party vendor (for example, Bob's Plumbing) or to an internal maintenance employee. Alternatively, the front desk clerk or front desk supervisor could assign a person to the work order when it was first added to the system to eliminate this step. A text-only e-mail or text message can be sent to Tom's mobile phone.. The work order monitor screen tracks the "open, assigned" work order. Any workstation can access the Monitor Work Orders screen to track the progress of all work orders. When the assigned contact (Tom) completes the work order, he marks it as "closed" and can enter comments. This can be done using a mobile device or any workstation. The work order is then closed, and no longer appears as a high priority open work order on the monitor screen. The RDP system includes a powerful general ledger which tracks all activity for guests, owners, travel agents groups, wholesalers, credit cards, and other RDP entities. The system uses your chart of accounts and produces a wide variety of financial reports with daily, month-to-date, and year-to-date totals. The RDP general ledger is fully integrated with a variety of third-party back-office systems. The flow of data is as follows: (See Overview - RDP General Ledger for details). During installation, assign account numbers from your chart of accounts to every RDP transaction code. Within the RDP system, transaction codes are posted to Owners, reservations, folios, groups, companies, travel agents, wholesalers, etc. During the Day End procedures, the system moves transactions into the general ledger components producing a balanced daily G/L entry. The balanced daily journal entry is exported to a network "transfer file." Your back-office system imports the transfer file as a daily journal entry. The daily totals are transferred to your back-office system, but the detail behind the total is in RDP. For example, if there were 300 local guest phone calls made at $.50 each, the $150 total appears in the back-office system. The detail of each of the 300 calls is in the RDP system in the transaction detail report. General Ledger history is stored forever in the RDP system; limited only by available disk space. You have the ability to inquire on any G/L account for any past date and display all transactions. Advance deposit ledger, guest ledger, and city ledger reports are available from RDP. Monthly income statements, balance sheets, cash flow reports, etc., are printed from your back-office system. RDP offers the tracking of credit card numbers, deposits, refunds, authorizations, etc., based on Payment Card Industry Security Standards (PCI). A wide variety of credit card processors can be used. High speed authorization (usually less than 2 seconds) is available using an Internet connection. Credit cards can be swiped directly into the RDP System. Door Locks, Phone, E-mail, etc. RDP interfaces with a wide variety of third-party devices. Please use the links below for details. The Customer Relationship Management (CRM) module is designed to track all relationships with guests to improve guest service and marketing. All guest visits are tracked from one or more RDP systems. Points can be awarded for each reservation. The number of points can be different for different seasons, room types, total dollars spent, and other variables. Guests can make reservations by redeeming points. Restrictions can be applied to control when "point reservations" are allowed. A complete history is kept of all point reservations. Mass e-mails can be sent with attachments. File the reservation normally as a regular reservation. If the room is not available, the guest entered as a reservation on the wait list for the dates and room type requested. If the guest elects to not make the reservation, a "denied reservation" record is created to indicate why the guest did not complete the reservation. RDP offers "Booking Pace and Occupancy Forecasting" reports to analyze forecasted revenue and occupancy and compare the forecasts to the same time last year. Over 40 reports are included, all of which can be modified with Crystal Reports. A wide variety of additional reports can easily be created to analyze data. For example, on 2/1/2004, you could run a report that showed the total number of rooms booked, and revenue for the period 3/1/2004 to 6/30/2004. The report includes totals for the same time frame last year (i.e., on 2/1/2003, what was booked for 3/1/2003 to 6/30/2003). This allows management to analyze if the booking pace is ahead or behind the previous year. Any date ranges are possible. Some additional features in the RDP Owner Accounting system are listed below. For a complete description of each feature, please see RDP Owner Accounting Overview. Integration to GDS, POS, Credit Cards, etc. Various Billing Cycles - Monthly, Quarterly, etc.